NEW! Hotchkis 3-Link Rear Suspension Package for Second Gen Camaros with Front Coil overs and brackets with Manually Adjustable Coilovers, PN 87001 with Electronically Adjustable Coilovers, PN 87002 This is hands down the most complete rear suspension kit you put under your second gen Camaro or Firebird! 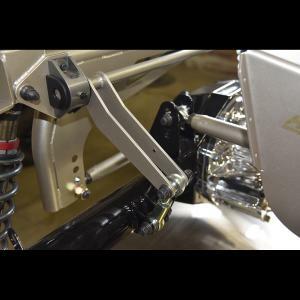 Our new rear suspension is based on a 3-link system providing extreme articulation for rear grip under all driving conditions. 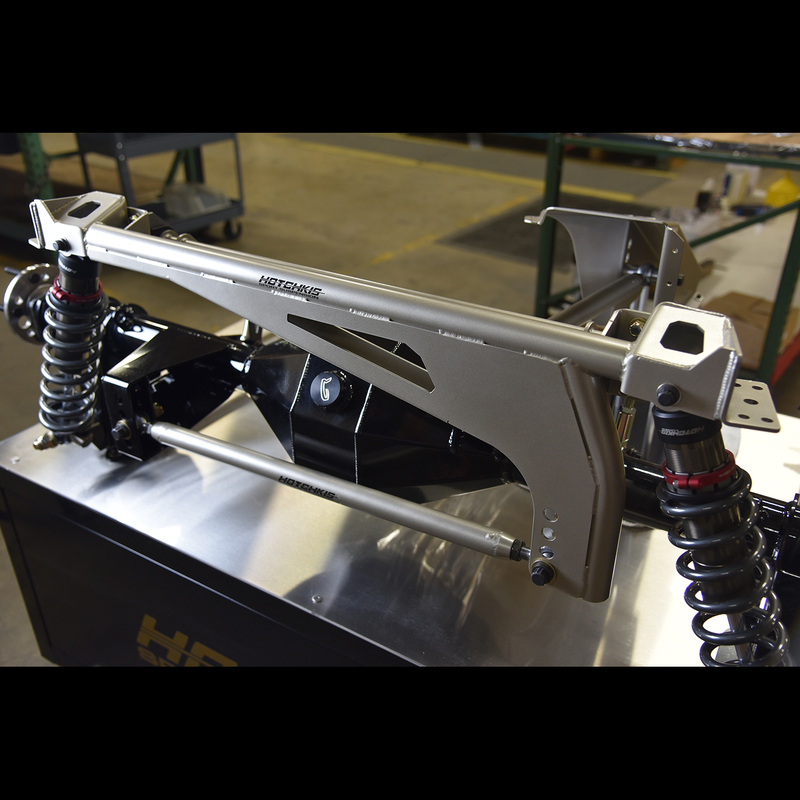 The trailing arms have multiple positions to match your application and the track bar is adjustable to assist with pinion angle, anti-squat and roll center. 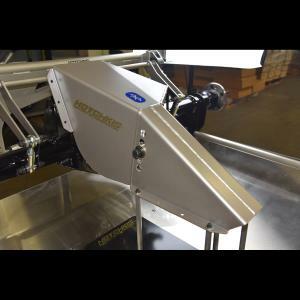 The kit includes a completely new Currie Turn 9 lightweight rearend assembly and is adjustable with our advanced Coilover system. These Coilovers (front and rear included) have Hotchkis specâ€™d springs and feature Falconâ€™s patent pending shock technology. The Coilovers are available with manual adjustments or our advanced electronic control with Bluetooth technology! 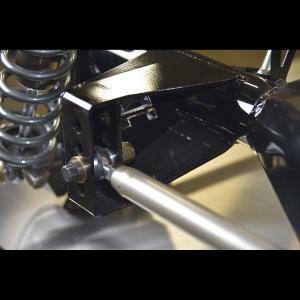 Topping the system off is an effective blade style rear sway bar. 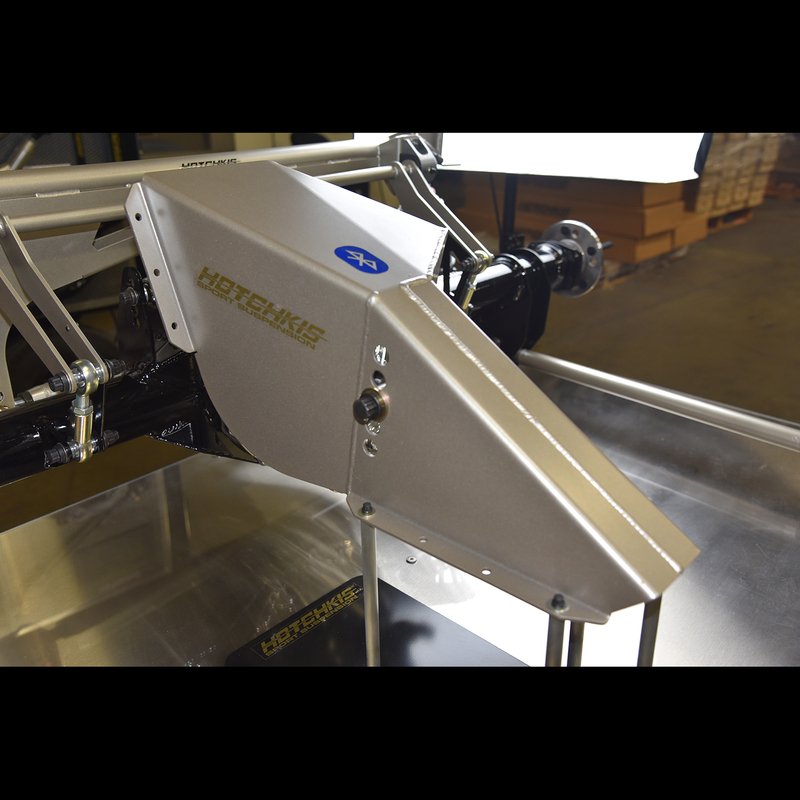 The package is supplied with mounting brackets and hardware for a complete bolt-in transformation.